Since the Galaxy S7, Samsung has been releasing exceptionally great flagships. 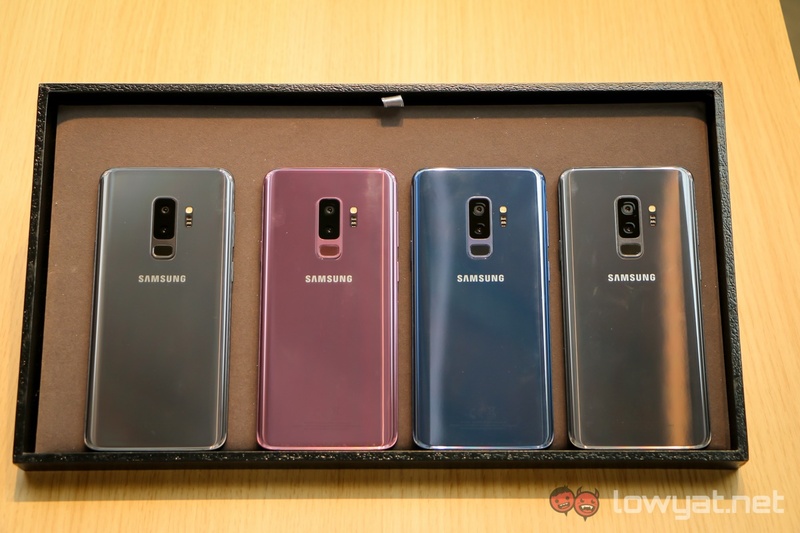 Each year the company gets away with not releasing a revolutionary new Galaxy S device, but rather iterates upon what is already a fantastic device. 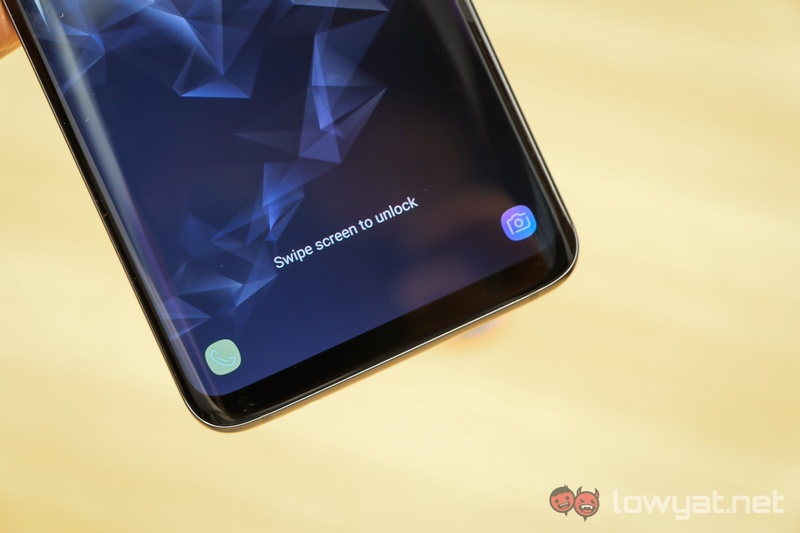 The Galaxy S8 was widely recognised as the standard bearer for Android smartphones in 2017, so let’s see what Samsung did for the Galaxy S9 and Galaxy S9+. At first look, there really isn’t that much difference between the Galaxy S8 and Galaxy S9 series. Both still share a similar design language, headlined by the stunning dual-curved Infinity Display encased in a handsome metal-and-glass finish. 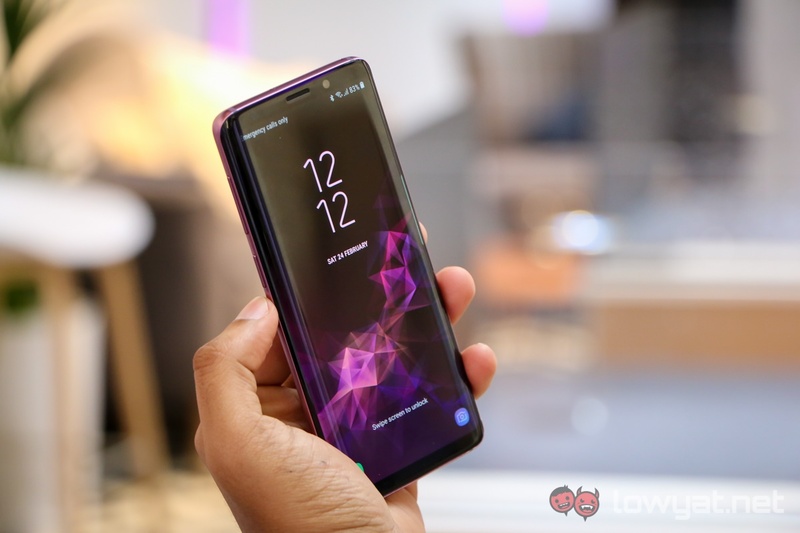 The Galaxy S9 and S9+ retain the same display size and roughly the same dimensions, so both phones are very easy on the hands even when they have large 5.8- and 6.2-inch displays. Nobody will be able to notice this without a good long look, but Samsung says that the top and bottom bezels are actually smaller than the S8. 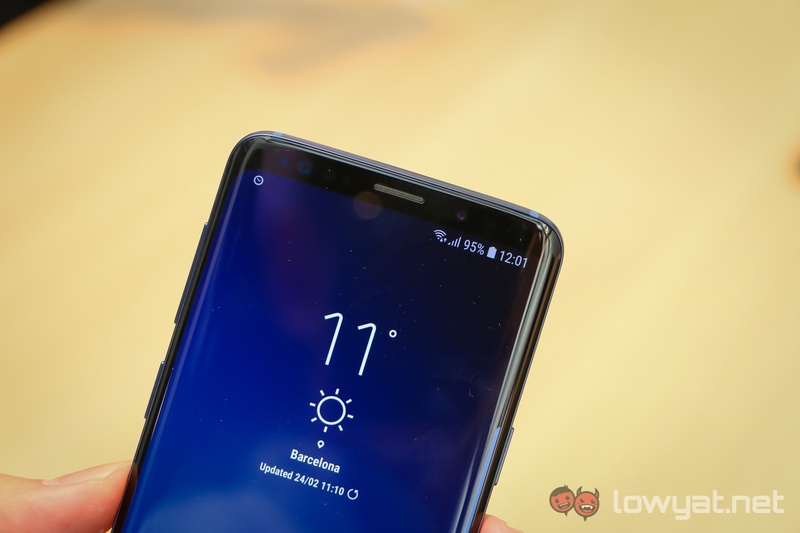 The total reduction is 1.4mm on the Galaxy S9+, and 1.2mm on the Galaxy S8. The iris scanner has also been blacked out more, giving an almost all-glass look when the display is not switched on. 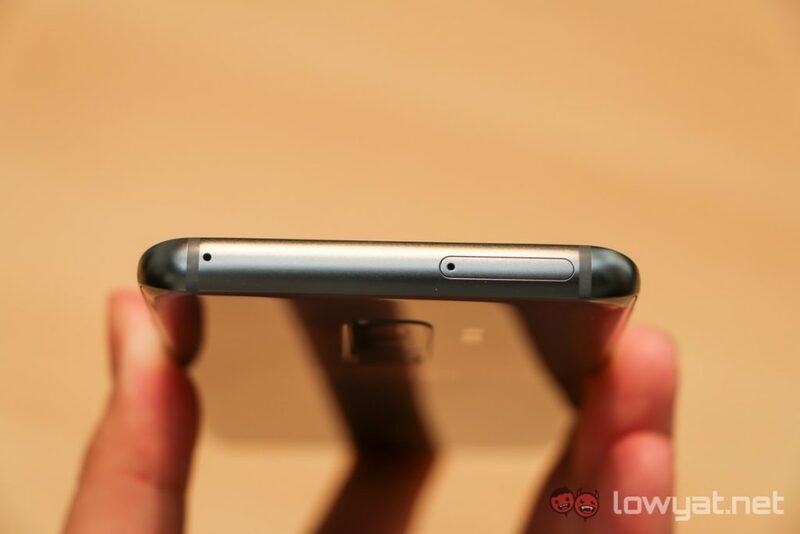 It is round the back that Samsung has made some visible changes. The fingerprint sensor, much maligned for its placement next to the camera on the S8 and the Note 8, is now mercifully placed below the camera this time. It’s a change that Samsung should have done on the Note 8, so it isn’t too much of a surprise that the Korean company finally listened. 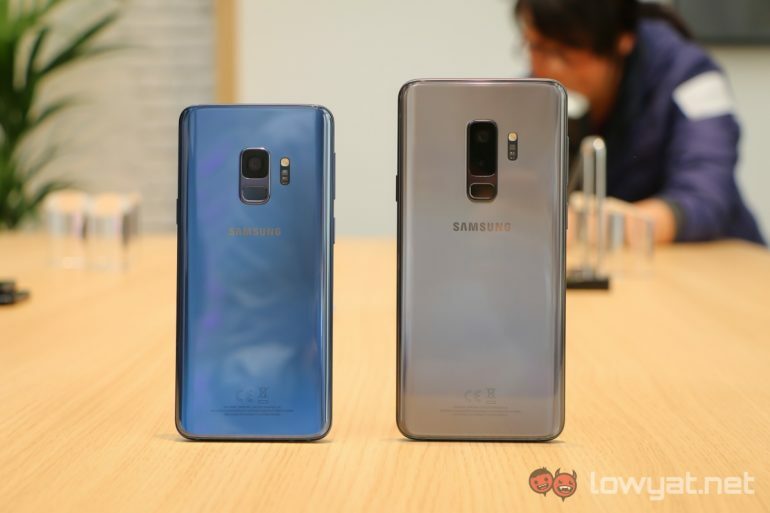 In addition, Samsung is introducing a vital change between the two S9 models: the larger Galaxy S9+ has a dual-camera setup, while the Galaxy S9 makes do with just the one 12MP dual-pixel sensor. The S9+ also has 6GB of RAM (versus 4GB on the S9) and a larger battery (3500mAh versus 3000mAh), but we should now, of course, talk about the new camera features. 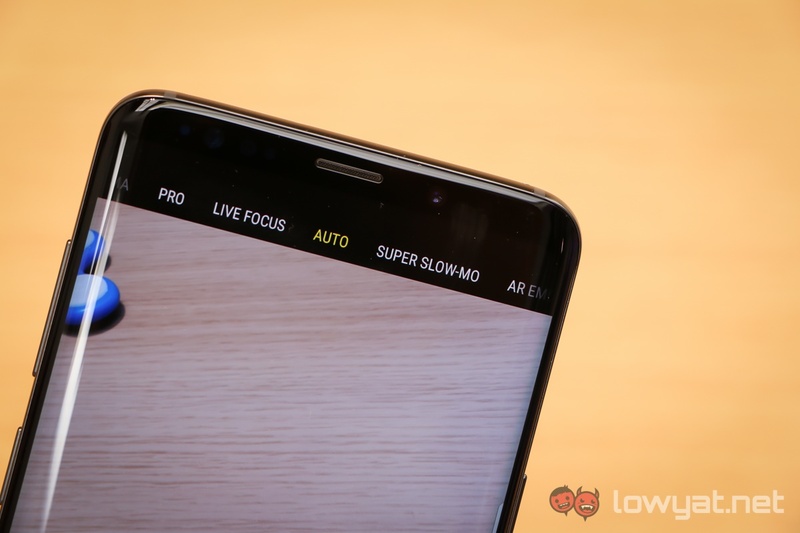 This is, after all, the main focus for the Galaxy S9. 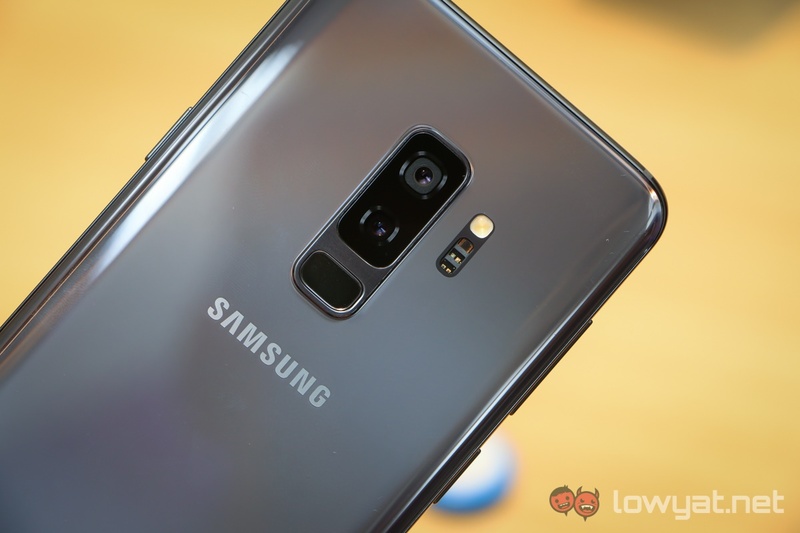 Both the Galaxy S9 and S9+ feature the tried and trusted 12MP dual-pixel sensor that has served the company very well, but there has been some improvements as Samsung works on keeping ahead of the curve. The S9 and S9+ feature dual aperture settings – f/1.5 and f/2.4 – and the image signal processor automatically switches between the two depending on the lighting condition. This is the first time that variable aperture is included in a mainstream smartphone – the only other device with a similar setup is also from Samsung: the W2018 clamshell phone that is only available in China. Unless you’re in Pro Mode, the ISP automatically switches between the two aperture settings. 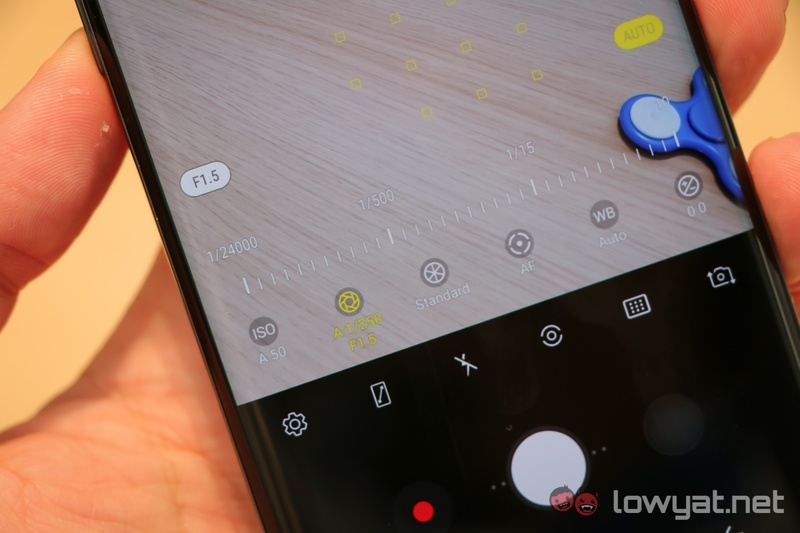 Samsung claims that thanks to this larger aperture, the S9 captures 28% more light than the Galaxy S8 camera, which had a fixed f/1.7 aperture. Besides that, Samsung has also tweaked the multi-frame noise reduction algorithms. 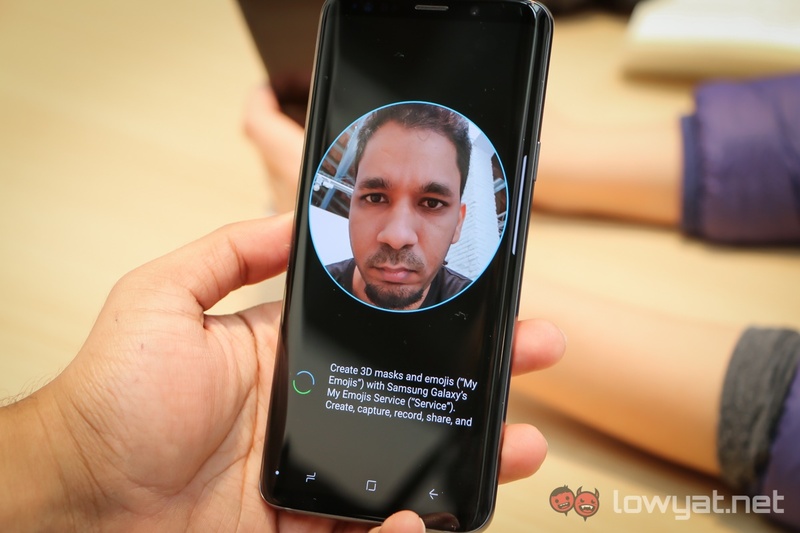 The company says that the function, which works similarly to the Google Pixel phones, now captures 12 pictures rapidly before combining the information from each frame into one single image with reduced noise. On the Galaxy S8, it only captures four frames. This is largely due to the integration of DRAM into the image signal processor, which allows for a larger buffer space and higher efficiency since computations can be done locally in the ISP. It is this DRAM integration which also enables another new camera feature: Super Slow Motion. In essence, this is almost exactly the same feature found on the Sony Xperia XZs and XZ Premium. 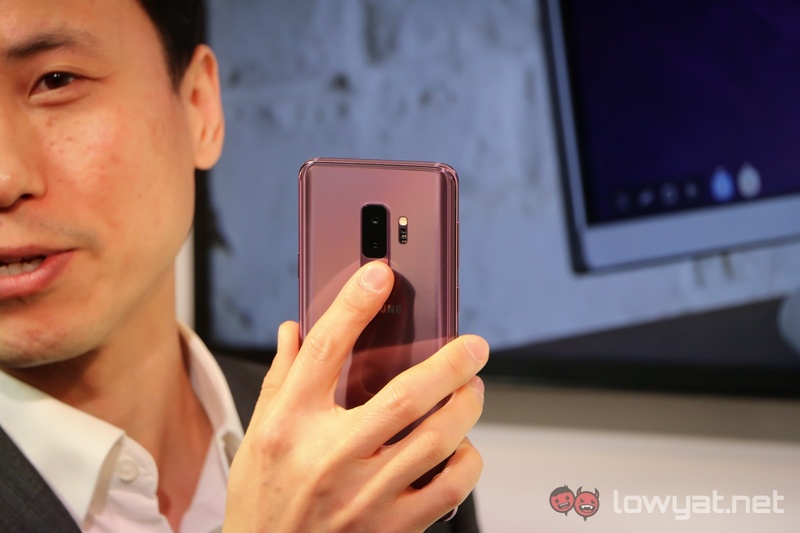 The Galaxy S9 and S9+’s Super Slow Motion feature enables 720p recording at 960fps; 0.2 seconds of this super high frame rate recording can be extended into six seconds of slow motion footage. The implementation is slightly different from Sony’s, though. 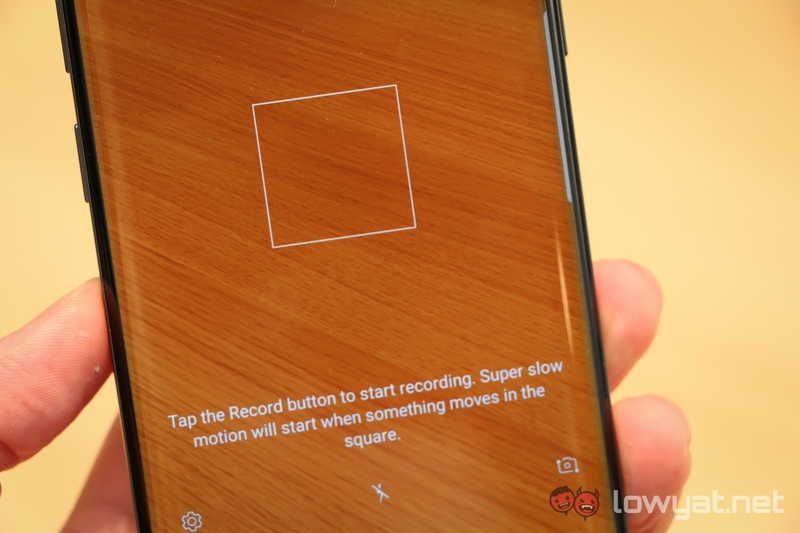 Where Sony’s UI requires the user to tap on a button on the screen to start high-speed recording, Samsung’s UI relies on a user-adjustable square portion in the frame – once the ISP detects motion in this square it immediately starts recording in 960fps. Samsung says this is a more effective way to capture motion, since the user may be slower to react. 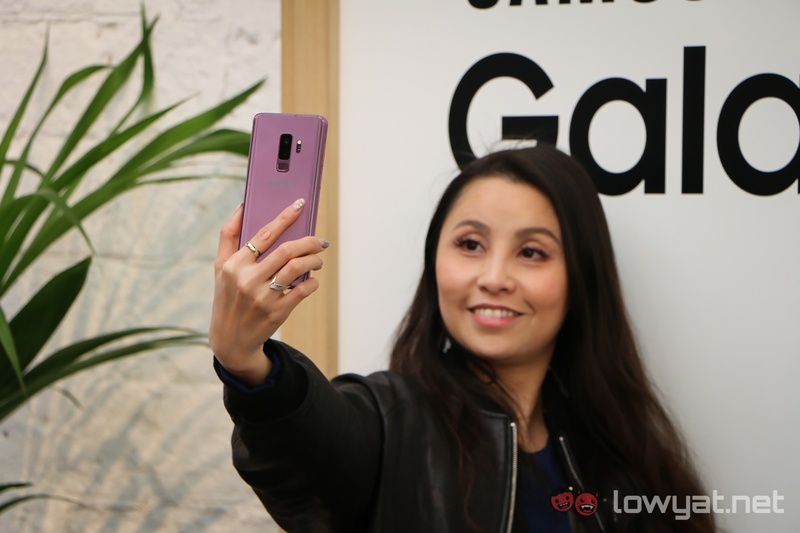 As for the front camera, Samsung is also adding some new features to address the selfie generation. 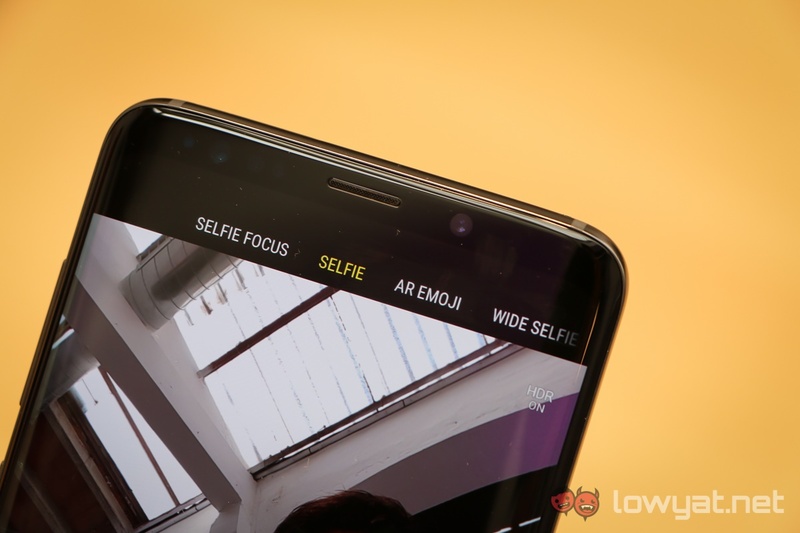 Most of the new features on the Galaxy A8 (2018) are included on the Galaxy S9, including Selfie Focus, which creates software-generated bokeh effects for selfies, and Wide Selfie for group selfie shots. There’s also an AR Emoji mode that we’ll talk about later. 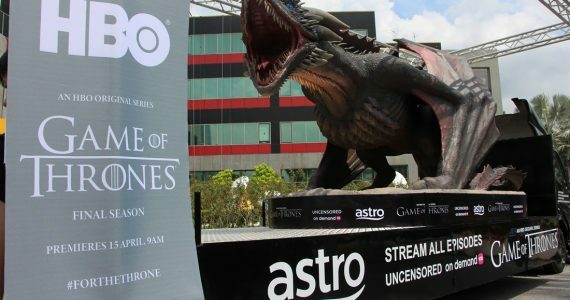 I didn’t manage to really try out the S9 cameras due to the controlled indoor environments of the experiential zone, and will be spending a little more time testing it out when we get a unit. 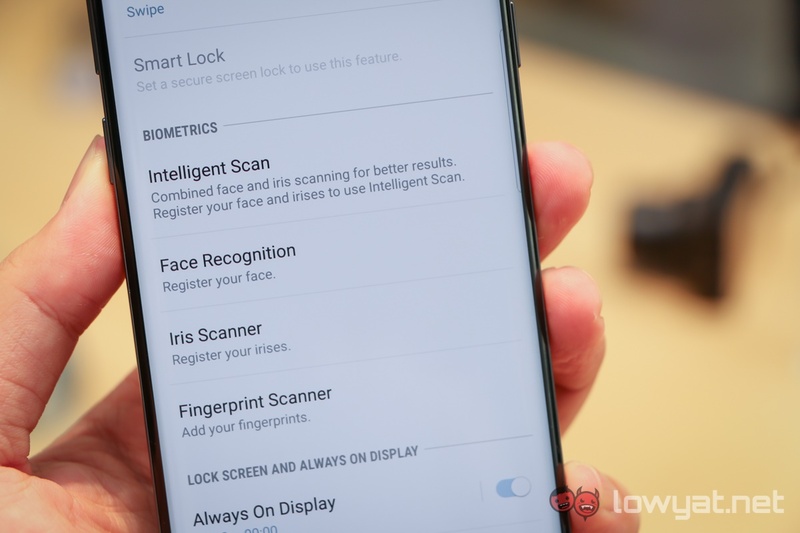 And then there’s Samsung’s attempts at addressing the new features found on the iPhone X. Samsung’s response to FaceID is not to introduce a new set of hardware, but rather to integrate its iris scanner and facial recognition software into one single unlocking mechanism called Intelligent Scan. 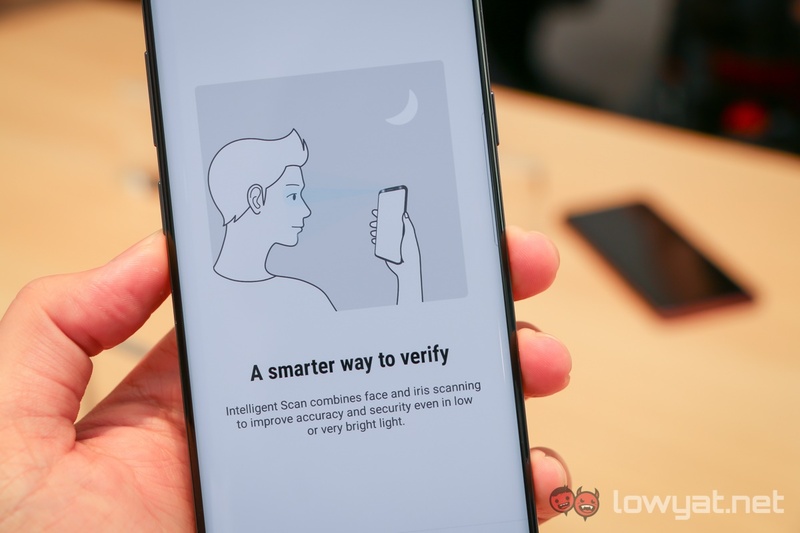 Combining the two makes perfect sense, since face recognition unlock doesn’t work in poor lighting conditions, and the iris scanner works even in the dark. Besides that, there’s AR Emoji. Basically Samsung’s answer to Apple’s Animoji, its implementation is more…Asian. 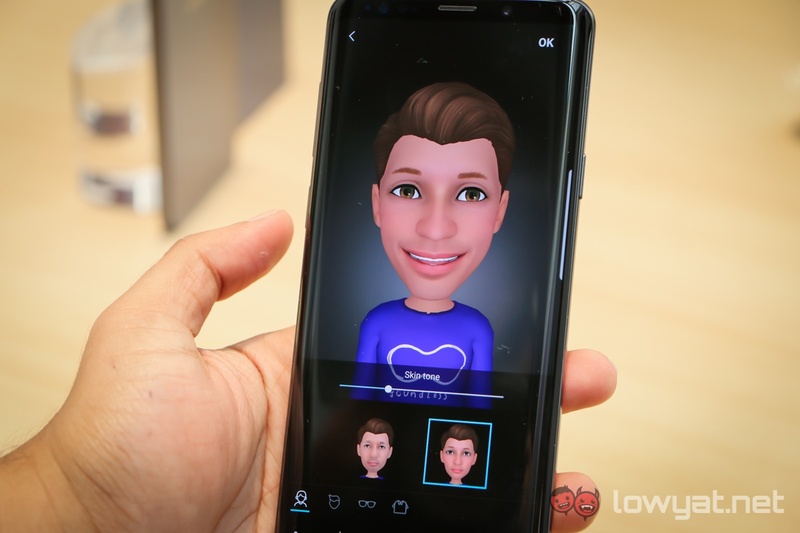 Enabling AR Emoji requires a simple face scan, before the software generates an avatar of your likeness after mapping over 100 facial features from the face scan. From there, using AR Emoji on the camera lets you put your avatar on any real-world environment in front of you. There are also other avatars you can use, including Disney characters and props like oversized sunglasses and caps. AR Emoji also generates up to 18 different expressions and turning them into personalised animated sticker packs that you can use on *any* messaging platform. These stickers are sent as GIFs, and are integrated into the Samsung keyboard, allowing it to be used across any messaging platform. This is definitely a smart move by Samsung, but it does mean you’ll need to use the stock Samsung keyboard; that’s still somewhat better than not being able to use them anywhere outside of iMessage. Otherwise, it is incremental changes across the board. The AKG-tuned stereo speakers now has Dolby Atmos support. 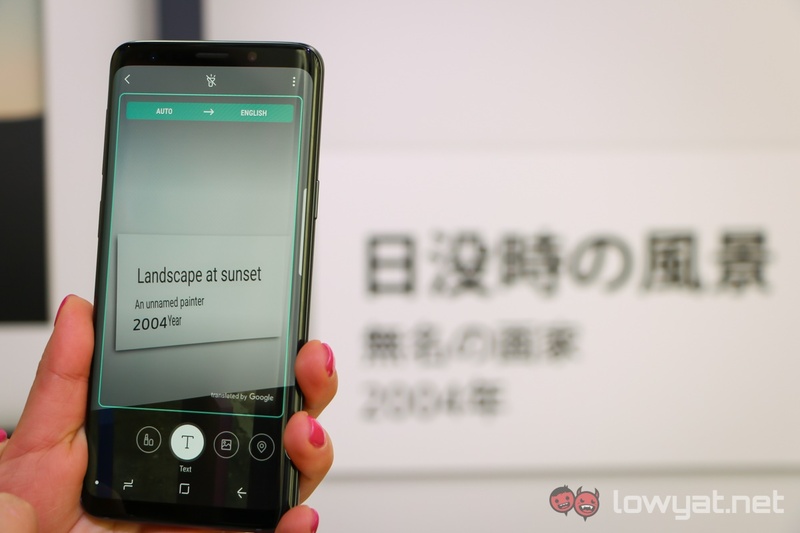 Bixby Vision on the camera now supports Live Translate powered by Google – provided you have an active internet connection. The microSD card slot now supports up to 400GB cards. 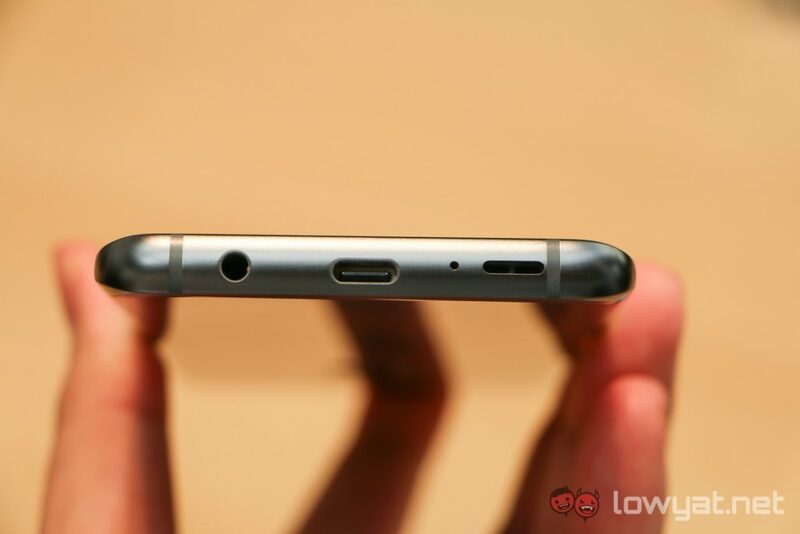 The headphone jack remains, as is fast wireless charging. There’s also a new DeX Pad, which is essentially the same as the DeX Station, but now does not block the headphone jack. 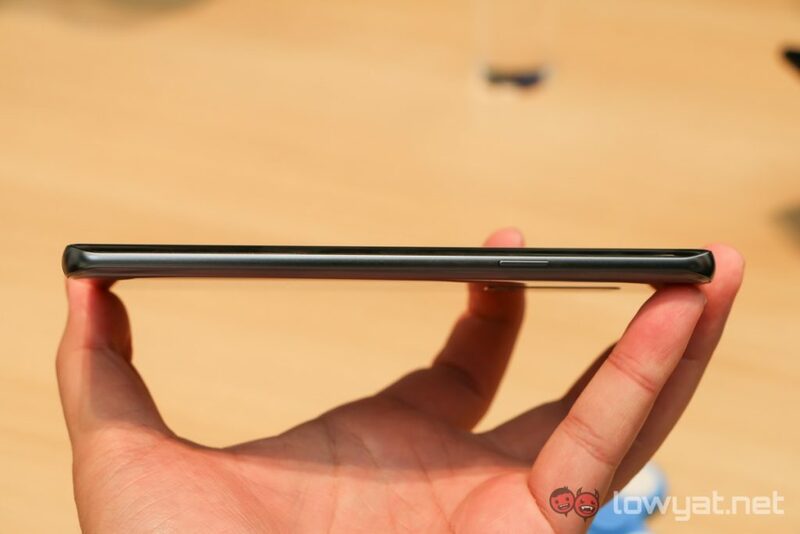 The horizontal placement of the phone also means you can use it as a touchpad or virtual keyboard. With the Galaxy S9, Samsung is refining what is already a great smartphone in the Galaxy S8. The new features are few, and we definitely need to spend more time with the camera, but that’s what you get when you work off something that was already excellent. For the first big flagship launch of the year, it looks like we’re off to a good start.